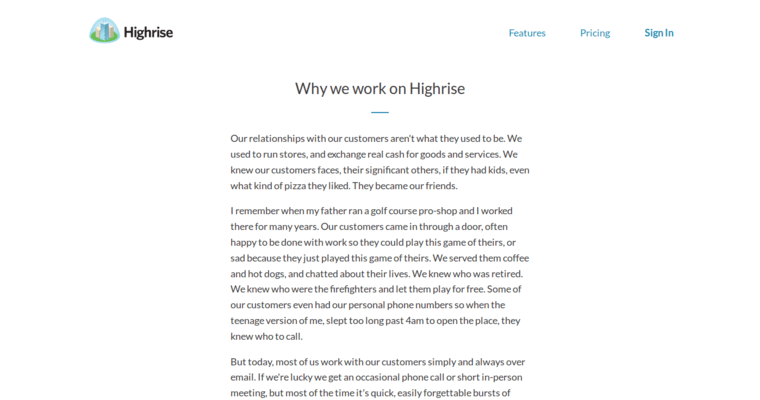 Any sales-based business that could use help managing the way they communicate with each other and with their clients should consider the power of Highrise CRM. This software suite is perfectly designed for streamlining many aspects of the sales process so that staff members won't have to waste time with tedious tasks. Internal communication is improved since all messages are brought into a single platform, and everyone can see all communications sent by anyone at any time in relation to any lead or client. 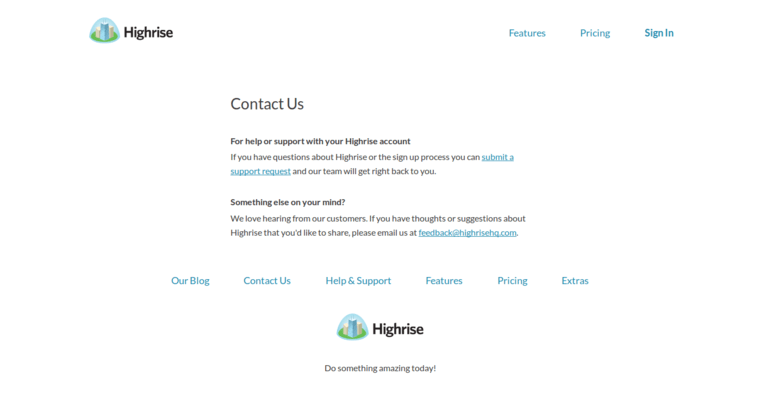 Perhaps you want to use the software to promote higher conversion rates, in which case you can use the integrated bulk email option. It will also automatically track any leads and let you know when important events occur. The goal of the software is to keep everything right at your fingertips so nothing gets lost in the shuffle. 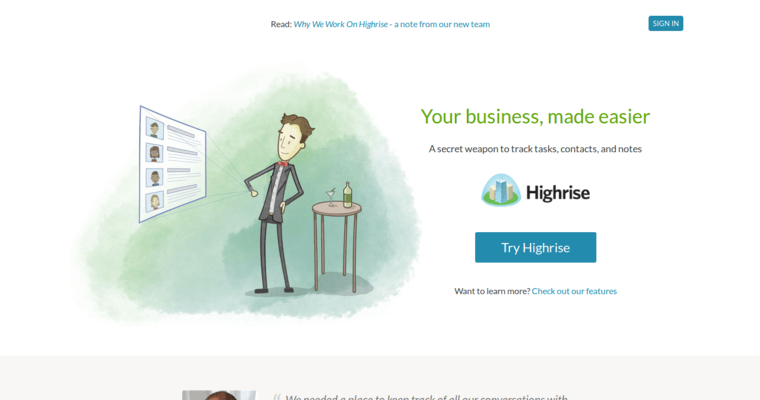 Try Highrise CRM in your small or midsize business today.